Among this crowd is Bill Buchholz who builds ice boats for a living. Buchholz is the only full-time commercial ice-boat builder in Maine, and one of a small number – some estimate it around 200 – in the country. 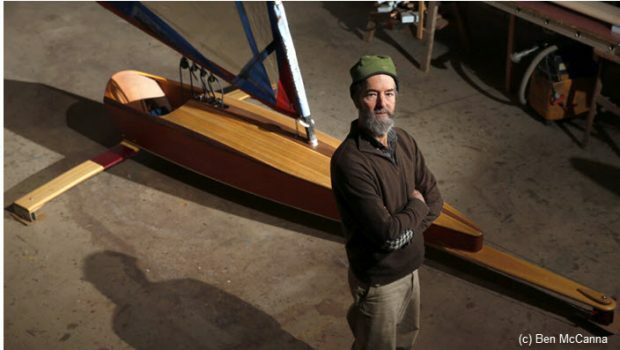 He built his first in 2007, and in the subsequent years turned his Camden (ME) company, Apache Boatworks, into a business that specializes in ice boats, sleek usually one-person crafts that can skate across frozen ponds and lakes at speeds of up to 50 mph.